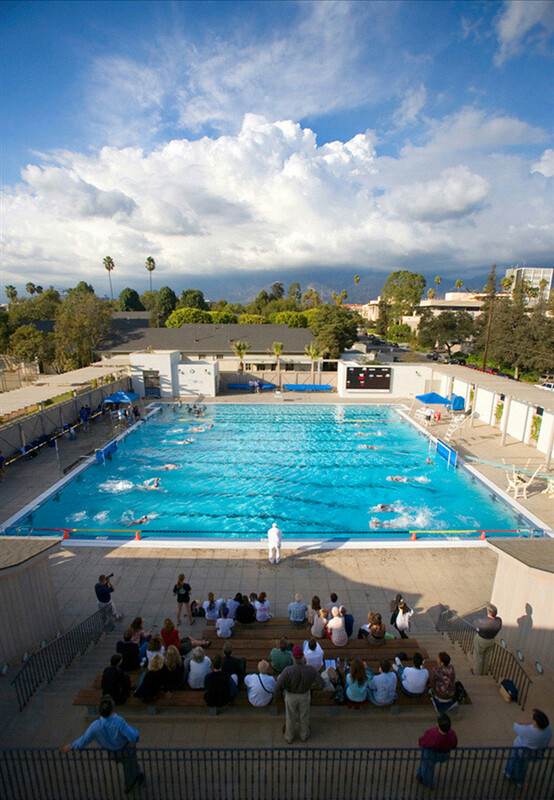 The Polytechnic School’s new 14,578-square-foot swimming pool facility hosts an active aquatic program for the most prominent private school in the western United States, with swimming, diving, water polo and other competitive sports as well as recreational swimming. 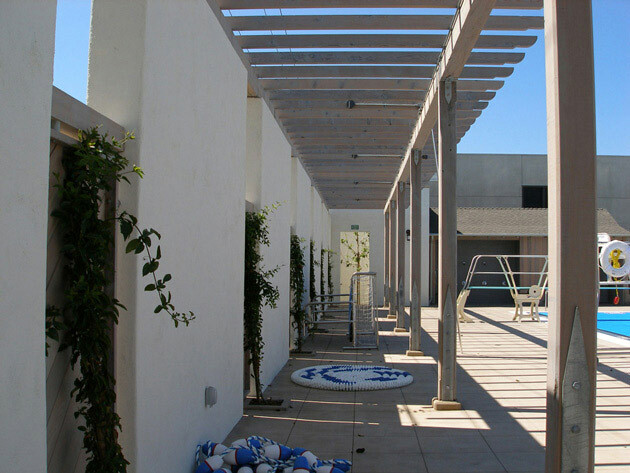 The program includes an NCAA short course pool with bleachers, changing rooms and service rooms. The design draws upon the campus’s rich architectural heritage with a natural, durable palate of materials and native landscape. 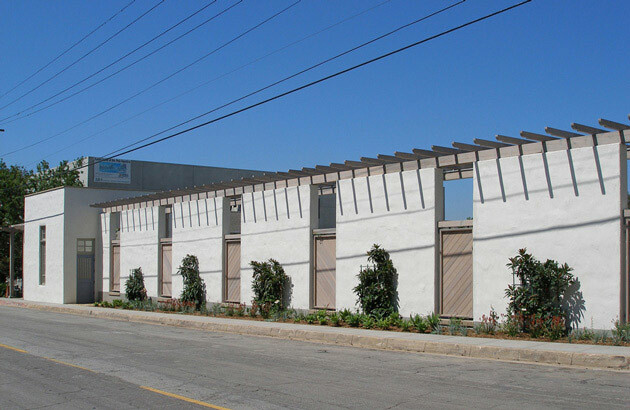 Cedar trellises shade walkways and entry courts and provide privacy from the adjacent public sidewalk. The gym and south campus are linked to the original north campus with landscaped walkways that reinforce the character of the original campus.